If you have a handbook it should tell you, if not the find the make and model of the water heater and maybe someone can help. If not on a mains hookup you will need a charged onboard leisure battery to operate the ignition . If you google Swift Caravan manuals you can download them. Just had a look! Sorry can't paste a link as I am not on laptop. 6 at Ludlow Morris Leisure site. 145 now. Our Cadiz 4 the same,just had a look! Do I register my new caravan with Bailey? My CRiS came through quite quckly, had no problems with the tracker reg either. I think you will find the only plastic panels are the front and rear lower panels which are fixed over the grp composite panels.The rear plastic bit is from below the grab rail to the bottom and contains the lights. We stayed at the C&CC site at Sandringham last year, thoroughly enjoyed it. Lotsto see in the area. Our part of the world (Shropshire and nearby counties)has plenty to see and some nice sites. Wipl check ours when I clean it. Thanks for letting us know. The Canvas Repair people are good. Quick turn round and good price. They collected it and returned it. When we bought our Pegasus we had the awning extended by them. It fits our U4 Cadiz perfectly and goes on easily. Our Pegasus had mastic in the awning rail.I carefully removed it with a piece of wood. Current van was fine. Sandringham, Which Site Cmc Or Ccc? We stayed on the C&CC site last year,thoroughly enjoyed it. Its a big site,open with nice trees around. Mix of grass and hardstandings. We had a hardstanding but the grass was firm and well drained. While there we walked up to the CMC site, its nice .but not as spacious. More regimented! As we were in low season, we compared prices for both. The C&CC was considerably cheaper with our over 60 discount! We don't have a dog but enjoyed walking in the forest and to the visitor centre for coffee. The church on the estate is worth a visit. Phone signal was not brilliant on EE! The staff use Vodaphone which is ok. We used the pay for wifi. 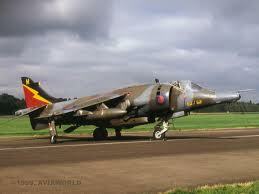 Had a great time visiting old haunts, as I was at RAF Coltishall in the late 70s. I seem to recall the green ca4ds were annotated towing xxxxx caravan back in the day! Meant new brake shoes on order! Finger trouble! No mat in our Unicorn 4 Cadiz. Our 2010 Pegasus and 2014 Vigo did. those two had the white plastic shower tray so the mat was probably anti slip. The tray in our new van is a grey non slip type finish, but we have not used it yet. No clock apart from the one on Alde control, microwave and radio-which is in a cupboard!. It does have crockery racks but no cocktail cabinet! Just had first service, no damp, no brake shoes coming to replace squeaky ones! ( Al Ko ABS =Audible Brake System!) Just been away for a few days enjoying better weather. Pleased with the van. Fixed bed for a long 'un! Our Unicorn Cadiz 4 has 2 fixed single beds which are longer than my 6'2" body! We swapped from a Vigo 2 with the transverse bed which was only just long enough. (feet could end up hanging off end!) Most of the vans with the side fixed layout have longer beds. The downside is one of you is by the wall and they often have a cutaway section on the other side. Best betis visit some deales and try them. Its a sad reflection on the manufacturer that they let it leave the factory in the first place. Secondly the dealer should have sent it back immediately, not tried to fob it off on the customer. Sounds like the old days of British Leyland! You could try Bailey parts, you can order online. We had an Abbey GTS for years, you could see through quite well, even better when we switched to taller SUVs! No rear window on our Bailey. I can't see why people think they do not need towing mirrors,its the law! I can see it would be difficult to fit them to some vans etc. I had a S3 Landrover with Defender door mirrors. It was difficult to fit towing mirrors to it, but I rarely towed with it. You can get longer arms for LR which they fit to some of the converted variants. In Australia they did repacement mirrors for SUVs etc which were bigger and telescoped out for towing. Very neat idea as they retain the heating and adjustment. Saw them on Land Cruisers and Shoguns plus pickups. I have a Garmin which is fine, as my 12 year old car does not have one! You can stop somewhere and search for accomodation nearby by selecting campsites ! Also has free updates as long as I own it. Our Hyundai has a built in one which is updated at each sevice, it is not as comprehensive as the Garmin, its Tom Tom based. We still carry and use maps! The Garmin usually gets put in the car in case! I think common sense is an essential extra! An artic got stuck up a farm track near us because the foreign drivervwas using satnav! Despite road signs saying unsuitable for motors! Took a couple of days and a big expensive recovery truck to retrieve him! What about used van prices? A non timber composite could be used but cost would increase. Lots of alternatives. Aircraft use composite floor material of either aluminium skins with a foil honeycomb in between or even fibreglass top and bottom with honeycomb. Its been in use for many years. They also use carbon fibre composites but they are very expensive! The radomes of most aircraft are fibreglass with foam in between the skins, has to be tough to withstand bird strikes rain etc. Fibreglass is transparent to radar. I believe the Freedom caravans are moulded from fibreglass (grp correct term!). Bit like a boat! I replaced a faulty light on our last U2,the cabling was also tight. There was a cable tie causing it,probably to tidy it up. I cut it off replaced light and tucked wiring back . Ever Wondered Why Some UK Seaside Councils Put Height Barriers on Car Parks? Bet they would complain if the travellers pitched up near their homes in UK! Not my idea of a holiday. Some good friends of ours went from a caravan to a motorhome,then back to a caravan. They found it was too difficult to park it anywhere other than on campsites,which made visiting places difficult. Most of the car parks in our area,especially at public parks have height restrictors, one or two have dedicated motorhome and coach parking. Not for overnighting. I suspect the main reason is to keep the "much loved travellers"away! Last year a bunch of euro travellers took over Shrewsbury park and ride . Not the usual transits and twin axles but very posh cars and vans. Soon after a couple of the domestic variety pitched in the middle of The Range carpark! Bit of an inconvenience for customers! I am pretty certain there is a fuse inside the cassette compartment,worth checking. Info should be in the manual. Never had any problem with them, although fiddley to get the wheel off. I used to slide out the carrier,remove wheel and apply copperslip to the tu bes, the thread for the wheel retainer and the locking bolt. Then reassemble. Our current Bailey has a system were you wind the wheel down from under the bed. Seems better. We hired motorhomes in Australia, one was VW the other Mercedes. Both were dsg boxes and were good to drive. Manuals not popular down under! CMC site at Rookesbury Park may have storage?